At this year’s Graph Expo in Chicago, the Executive Outlook keynote that took place went through the print market segment demand. As we have pointed out, Direct Mail is one of those markets. 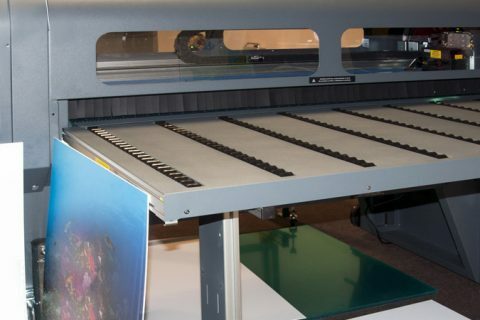 UV Coating and Roll Laminating play a big part in direct mail campaigns. Here is the truth about email campaigns. You can go out and rent or buy a list of say 10,000. Good open rates are about 25% of your send. Of those opens, a good percentage are not really viewed. They were tagged as open because it showed up on someone’s email client or their mobile. It does not mean they were read. The true measure of email success is the Click Through Rate. These tend to be much smaller. Email is noise today. Delivery cost per email is reaching a similar cost as direct mail. The question is which is more effective? That can be answered by how effective is the design in getting people to take action. Direct mail is making a comeback. 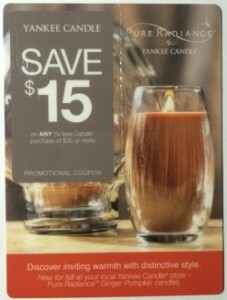 One company that is doing direct mail right is Yankee Candle Company. They generally send out a high quality mailing that has a coupon. It is usually a postcard that is finished with high quality laminating. The coupon is a business card size perforation that the customer can remove and take the store or redeem online. AT&T recently sent out mailings using a similar approach. A high quality card that is laminated. The lamination makes it stick out of your pile. It does not bend and its touch is unique to all the other mail you have. To produce something nice like this, you can use a roll laminator from D&K and some of their roll laminating film to produce. 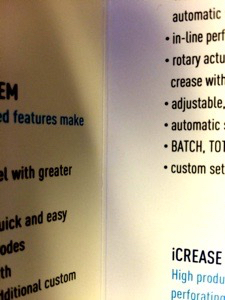 You can use the new MBM icrease EXCEL or MBM icrease AIR to do the perforation for you. Another approach to Direct Mail pieces is using UV Coating. UV coating is a cheaper option than what Yankee Candle is doing. You can use a variety of sizes of card stock. 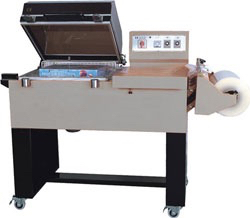 Run it through your uv coating machine to provide the protection. UV Coated direct mail also sticks out in your pile. UV coating has a touch that makes it stick out from the rest of your mail. For you produce a quality product for your customer. You will need a good uv coating fluid. Our experience and the experience of our customers has been excellent with REVO coatings. It has a low odor and the final product is rich in color and makes the documents stand out. It works great through all the major uv coating manufacturers including American Ultraviolet and Tec Lighting. The US Postal Service has a service that you can use to have direct mail delivered to a postal code without the need for an address. 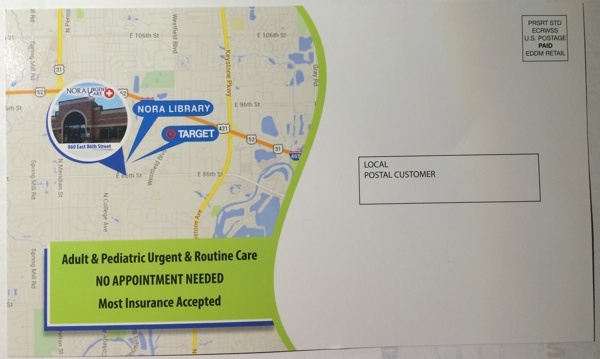 Here is an example of how it is used by a local urgent care facility. They simply did EDDM for our zip code. The process is easy and you can find the information at USPS. Direct Mail is hot again according to the Graph Expo keynote. As a print shop, help your customers utilize some of the new tools and approaches to make direct mail effective for them.